Café Aréz, Ashanti Estate’s french inspired gem, sitting alongside the Ashanti Estate Dam. 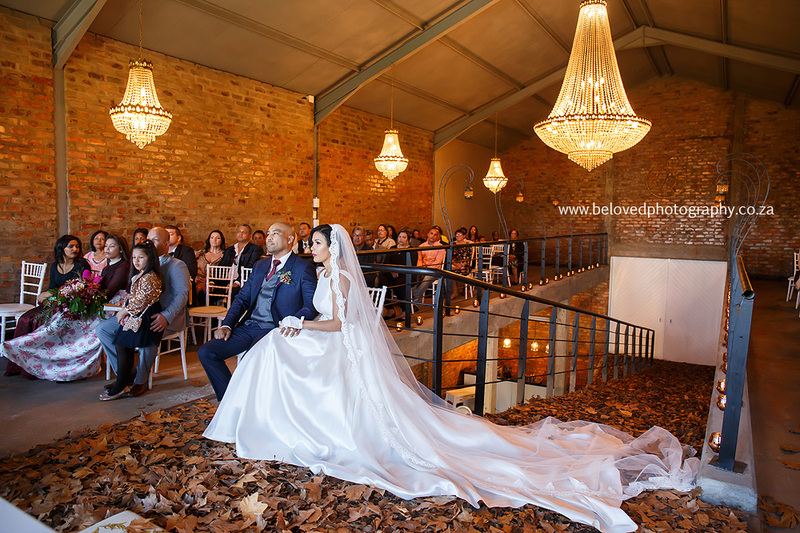 The perfect inside/outside location and venue for an intimate wedding, pre-drinks and/or corporate event. 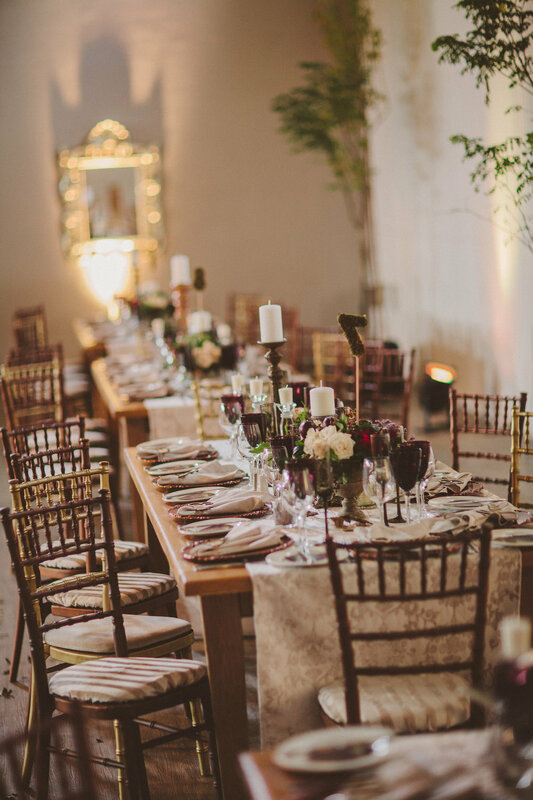 Whatever your requirements of a magnificent space with added benefits of french inspired decor, Café Aréz will leave your event with a breathtaking look and feel. X12 White tiffany bar chairs. The V.O. 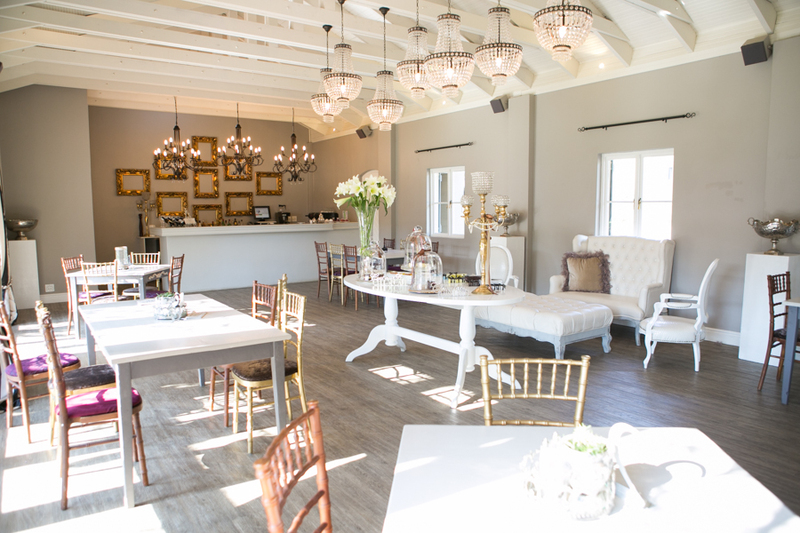 Vintage room is perfect for your ceremony. 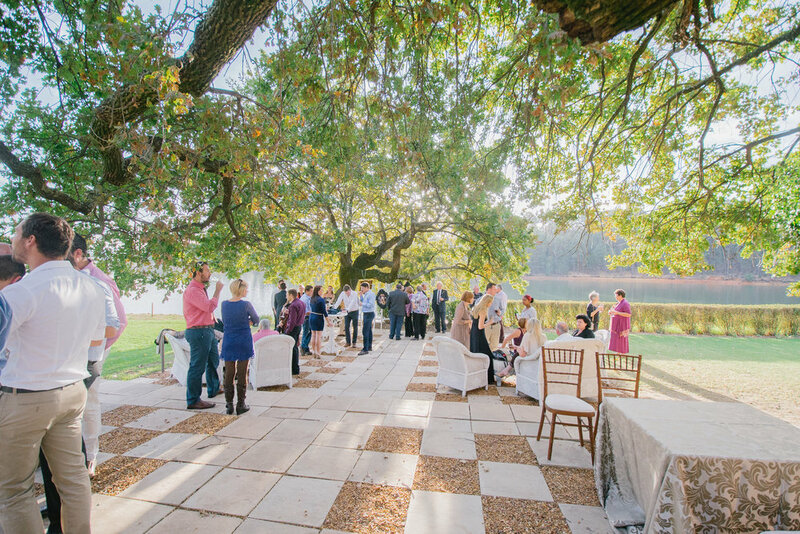 The flowing layout creates spaces where guest can gather and relax before the ceremony. 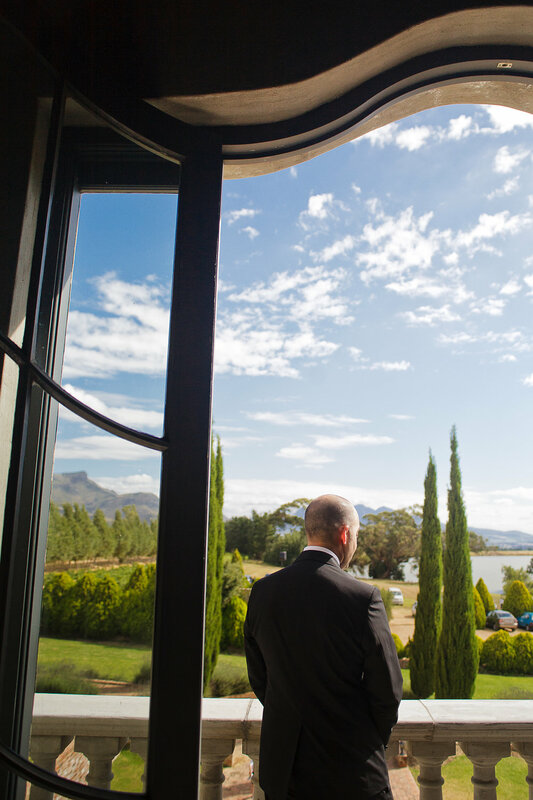 French doors onto our balcony create the perfect backdrop to start your day. The V.O. Vintage room is also perfect for those corporates who seek a specific design to their presentation setups. 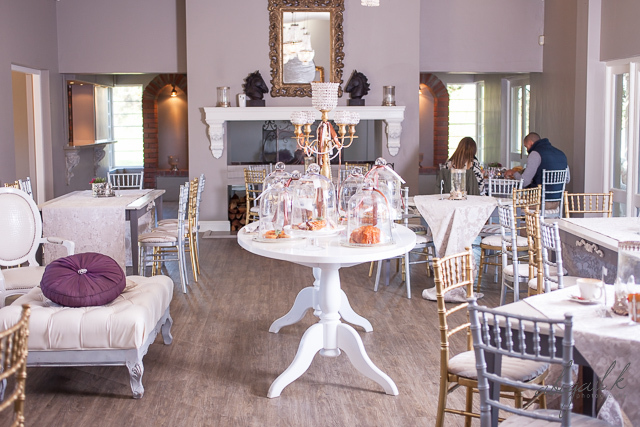 Placed right next to the Napoleon lounge, it is great for team set-ups/catering/break-away rooms and anything that your imagination desires. X150 Fruitwood (Brown) Camelot Chairs. X1 French dresser for the signing of the registry table. X1 Standard Silver candelabra with beaded cups on wine barrel. 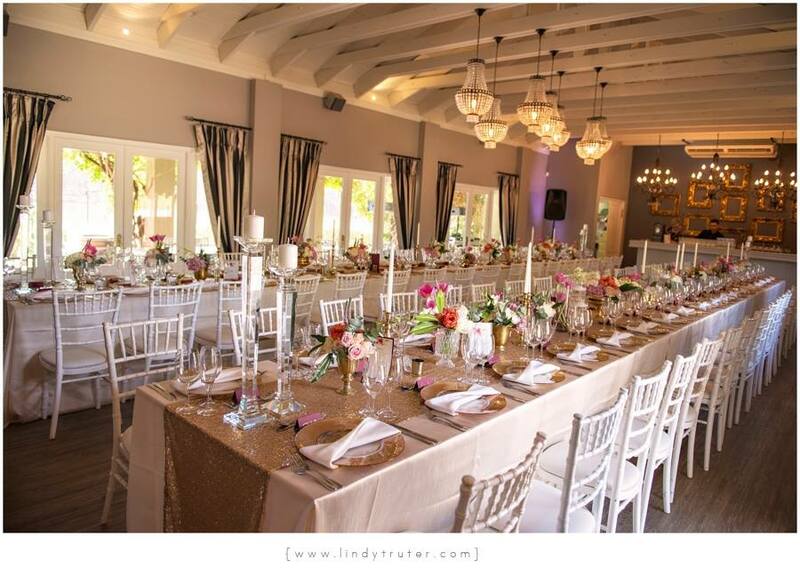 Le Chambré is our main venue, designed specifically to host your grand affair. This open and versatile space can seat up to 300 with a dance floor and 400 without a dance floor, so as to provide no limitations to your creativity or guest list. 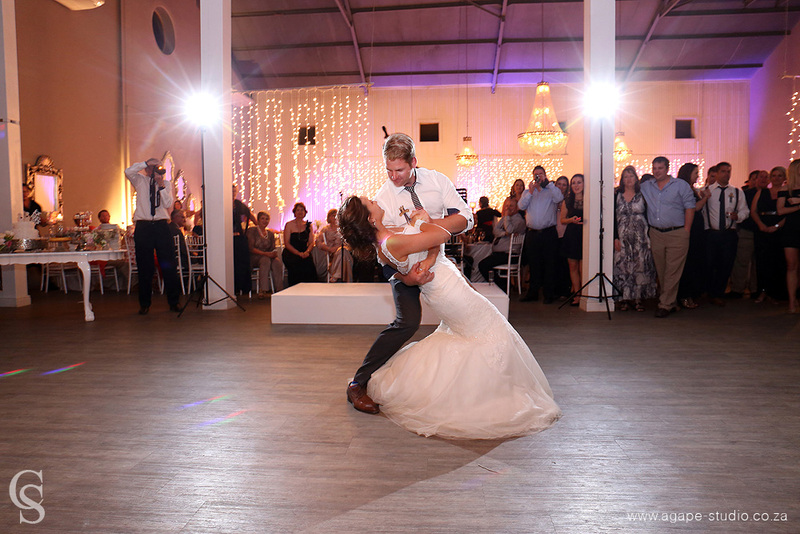 It is perfect for wedding receptions, year-end functions or corporate presentations on a big production scale.